Ever wonder where buyers look to purchase in Steamboat? Well it's no surprise that the mountain has above and beyond the most interest from buyers. 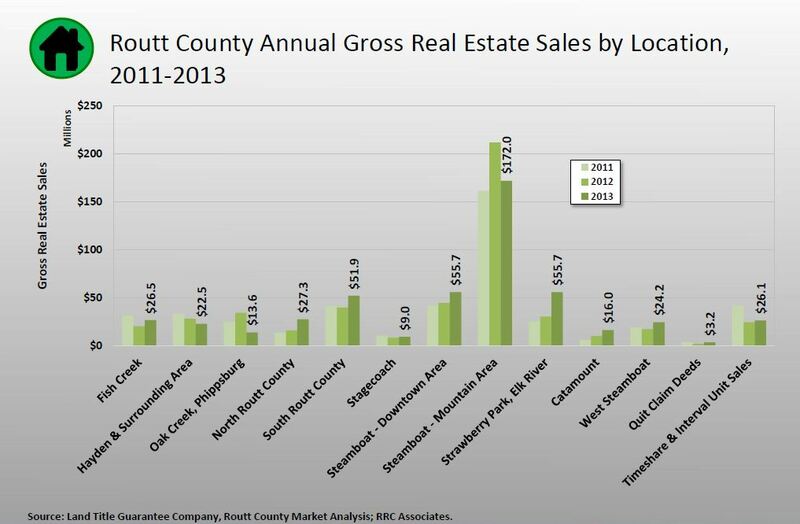 The chart below though, also indicates quite a few other trends that are occurring in Routt County worth noting. As you can see, some of the outer areas a bit outside of town have increased sales whereas the mountain sales seem to be decreasing (although still much higher than any other area). This is due to the mountain being fairly maxed out in terms of available properties so buyers are finding that they sometimes have to look further out of town to get more available options. Please check out the below chart and let me know if you have any questions!